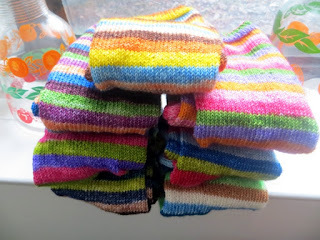 After I finished running in all the ends on the socks I knit during the packing and moving and construction frenzy I was finally able to look at them all as a group and you know what? There are SEVEN PAIRS. I mean that is a bonanza of new socks. 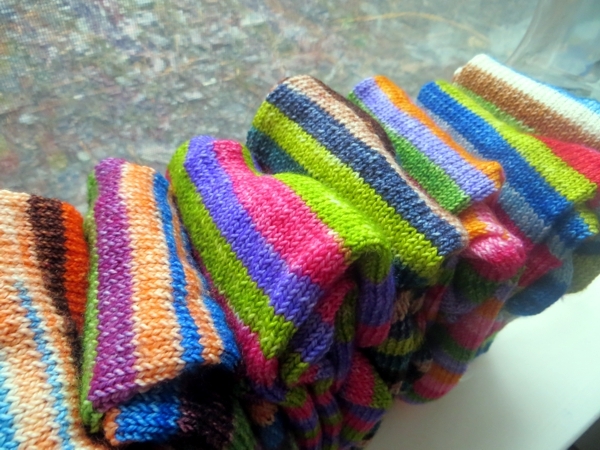 The most I've ever done is two pairs before getting around to finishing and blocking before I get them straight into use, so seven is quite a leap. And holy crow, are the colours ever amazing. It's like having an Attic 24 collage right in my very own home. Fresh new socks that I probably won't even wear now, until the weather warms up again in spring, at which point I can wear new socks for an entire week. Actually a week and a day, because there is one other pair in my drawer already that I keep reaching for and then putting back because they have been the only 'new' pair for a long long time and I wanted to keep them for a special occasion. 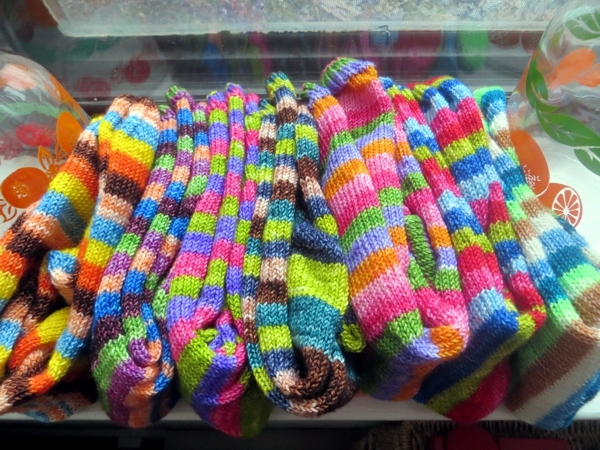 And all of these socks are knit longer in the foot than I used to knit, too, so they will be super comfortable than what I'd been wearing. 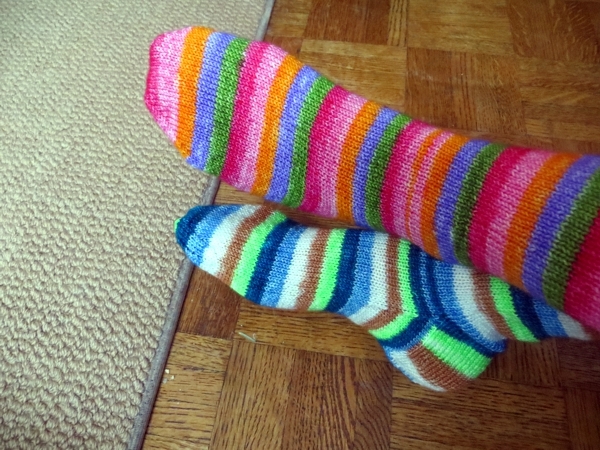 I don't know why I used to make my socks just a shade too short without noticing they'd be better a little longer, but once I found out (by knitting a pair for somebody else and then trying them on to make sure they were right) I did not want to go back. In fact these socks are especially timely, given that I had to take a bunch of too-short socks out of circulation, instantly reducing my supply - but that's another story for another day. For today: I am just so, so happy, I don't even know which I'll wear first. Hope you have a happy weekend and I'll see you on Monday!